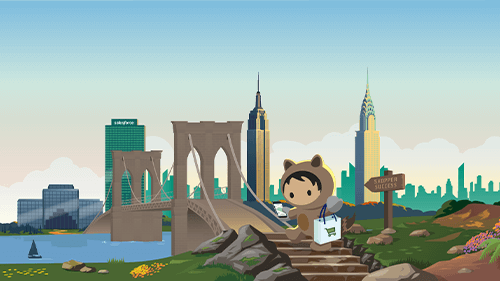 Salesforce has expanded our market-leading Commerce Platform to bring new artificial intelligence, visual search, and inventory availability platform service to the 37,000 people gathered in New York City for National Retail Federation’s Big Show and retailers everywhere. 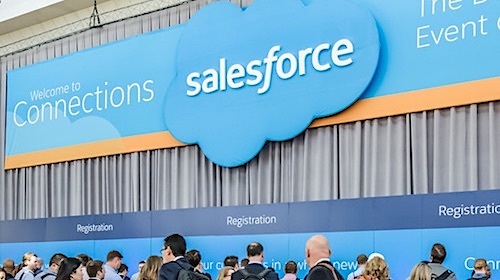 Salesforce’s new Commerce Cloud capabilities drop into the middle of an NRF marketplace of ideas buzzing with ways for today’s shoppers to engage with brands across email, social, mobile, brick and mortar stores, and increasingly, voice assistants. Salesforce research shows that retailers use 39 different systems to manage customer engagement, including point of sale, mobile, call center, email marketing, and social media. Every company wants to create a smart, easy commerce experience for every channel, but they do not have a central commerce platform that gives them the agility and flexibility to deliver. That’s where the new Commerce Cloud comes in. 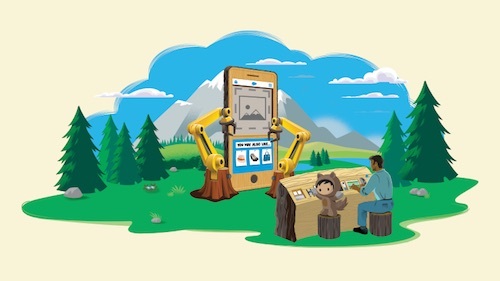 The expanded Salesforce Commerce Cloud platform consists of a powerful set of APIs, platform services, and developer tools that empower companies with the tools to build amazing commerce experiences and reach customers anywhere with clicks, code, and APIs. New enhancements allow brands to embed intelligent commerce experiences into every touchpoint. This will allow merchants to quickly integrate Einstein’s artificial intelligence product recommendations beyond just their ecommerce site. With a new API to embed intelligent recommendations in mobile apps, clienteling devices, and across marketing and customer service channels, merchants can power consistent experiences no matter how shoppers interact with the brand. New Einstein Visual Search lets shoppers “snap and search” for products using images, not text. Shoppers can search based on photos or screenshots from their mobile phone, which will return the same product or most relevant option available based on the image uploaded. And new developer sandboxes provide added agility so development teams can deliver innovation to the business faster. 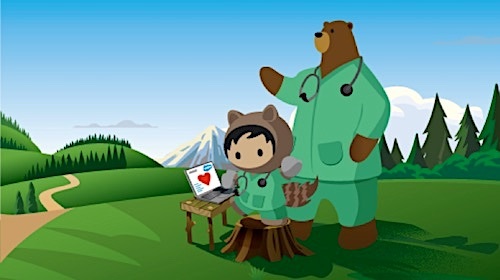 A new Trailhead means Commerce innovations are graspable to anyone. It is only with Salesforce commerce platform that brands have the full toolset to power the next generation of customer experiences, get to the future first, and win. We know there’s a lot going on, and we’ve got your back. Check out our Commerce Cloud cheat sheet below to get started. Forget “retail as usual” — it’s time to connect to your customers in a whole new way. That’s exactly what we’ll talk about during our Big Ideas session, featuring luxury watchmaker Shinola, Salesforce VP of Retail and Consumer Goods Rob Garf, and Sr. Manager of Retail Industry Solutions JR Linne. They’ll discuss how they’re unifying customer engagement and creating immersive experiences, including Shinola’s brand-new Detroit hotel. Join us for Fast Company’s panel discussion of purpose-driven organizations with moderator Jeff Beer, featuring panelists Stephanie Buscemi from Salesforce, Bill Bettencourt from TOMS, and Jostein Solheim from Ben & Jerry’s. This panel will bring a whole new meaning to conscious capitalism and inspire you to find brand new ways to do good and do well.